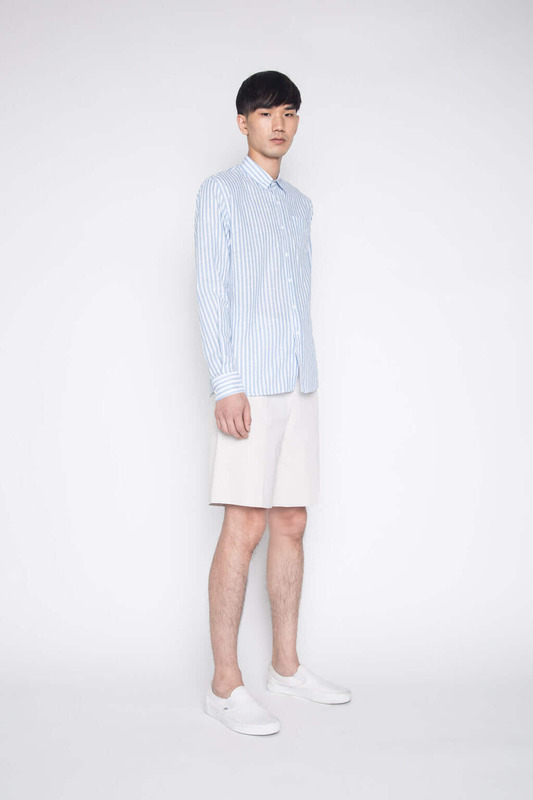 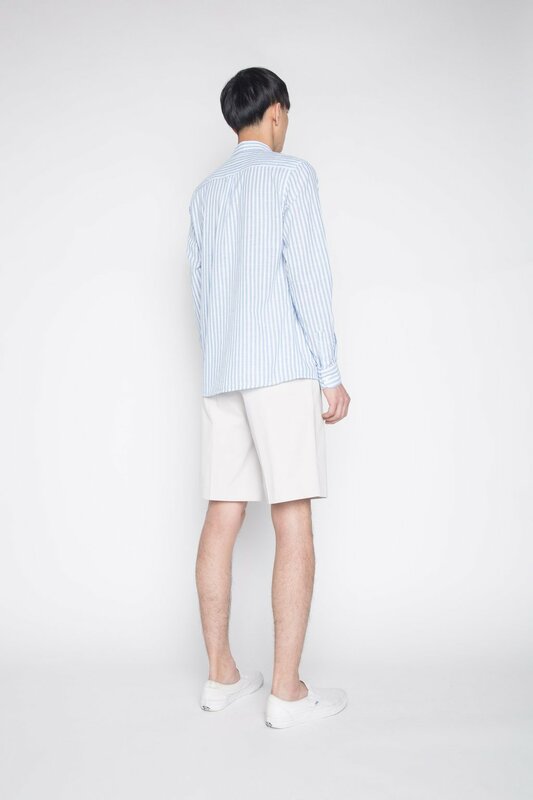 This 100% cotton shirt features a classic collar and button-up design with subtle light-blue and white stripes for a refreshing summertime look. 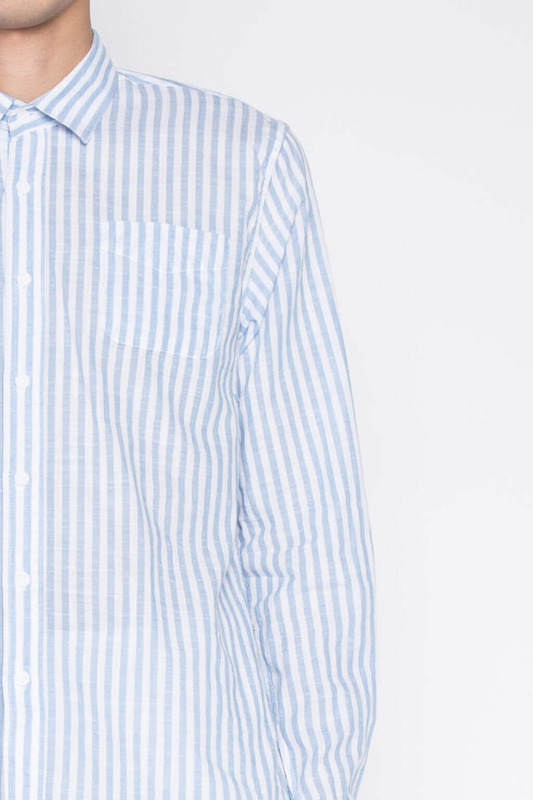 Classic and refined, this lightweight piece can be styled on its own or layered during the colder seasons. Pair with shorts and sneakers for a clean and casual everyday look.